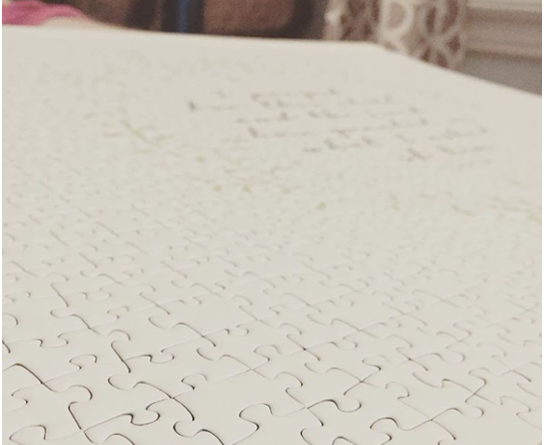 I was not thinking about having to work the puzzle when I designed it, so it took a long time to work the half of the puzzle that was just plain white pieces. Big thanks to my cousins Rebecca and Noah, my friend Ellen, and of course Steve, for helping me get there. It only took 14 months. 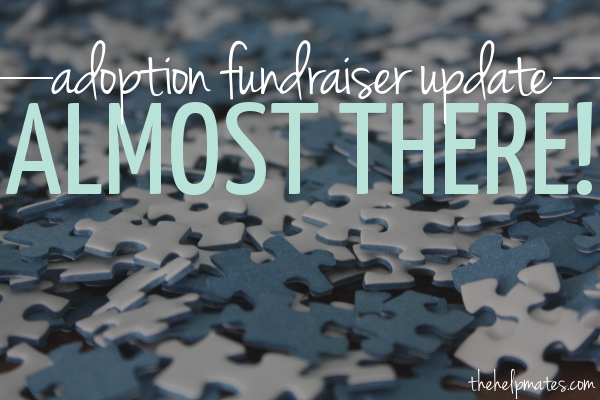 I had planned to update you guys about the adoption fundraiser as it went along, but I totally forgot. So here we are at almost 100% of our goal, and I’m finally posting an update. Our original goal was $10,000, and we’ve raised $9,350, putting us at 93% of our goal! We have been blown away by the generosity of our family, friends, and church throughout the fundraising process. It’s amazing how God has provided for our every need for the adoption. Thank you so much to everyone who has given to, prayed for, and loved on us this past year and a half. We hope to be able to do the second transfer in the next 2-3 months, so be on the lookout for an update.